Our most popular Cor-Ten Planter, the Round Planter is available in 5 standard sizes. Suitable for small bushes to medium trees, this planter is both simple and rustic. Combining multiple large round planters with large shrubs or trees creates a screen or barrier in commercial and residential landscapes. 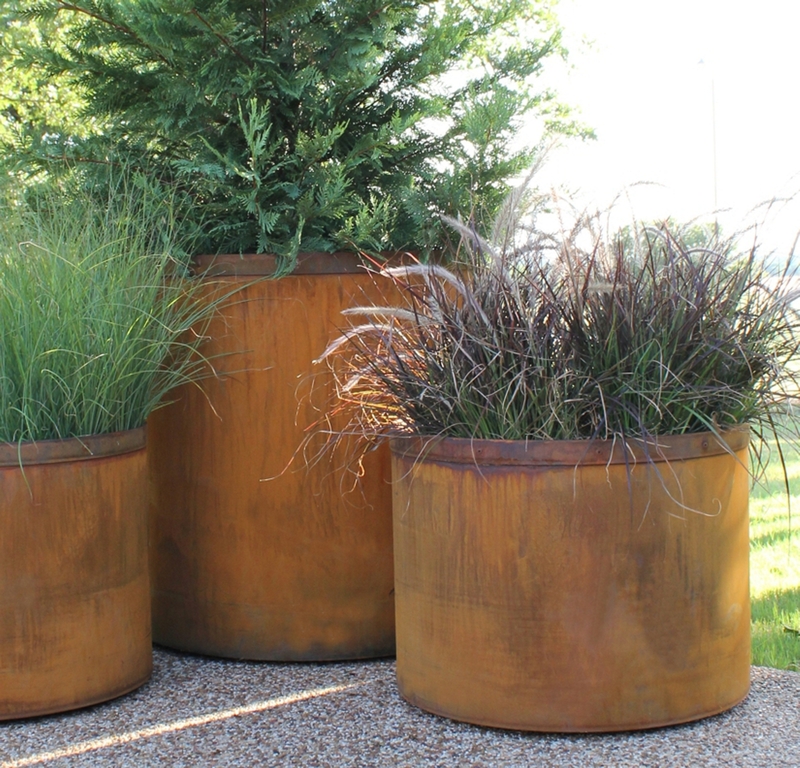 Featuring 11 gauge Cor-Ten steel, each planter is handmade by our skilled craftsmen in Dallas, Texas. This planter is able to withstand most climates and will not bow, buckle, or oil can like other thinner gauge Cor-Ten planters. All of our planters are available with or without drain holes, irrigation line holes or casters. On our larger size planters, you have the option of a false bottom in order to lessen the amount of soil needed in the planter.